With Large Scale Systems we mean aquaponics systems for the production of fish and vegetable in a marketable and profitable manner. While the productivity of a system rises with its size and there is no upper limit for the surface area. But the investment itself sets a minimum size in order to work rentable, which again depends on the specific planned kind of aquaponics system. 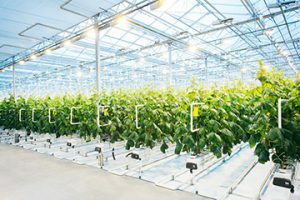 We plan, build, monitor and maintain the large scale systems together with our partners from research & development and with the specific subsections (greenhouse, heating etc.). 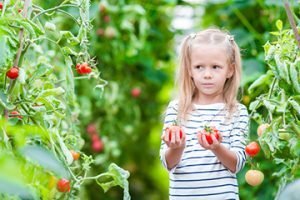 Recently the topic urban farming is discussed increasingly often. This means the cultivation of plants in urban environments, which stands for short supply ways and thus fresh products. Since the space in cities is limited and a soilless cultivation is mandatory, aquaponics is the ultimate use case for these urban farming systems. 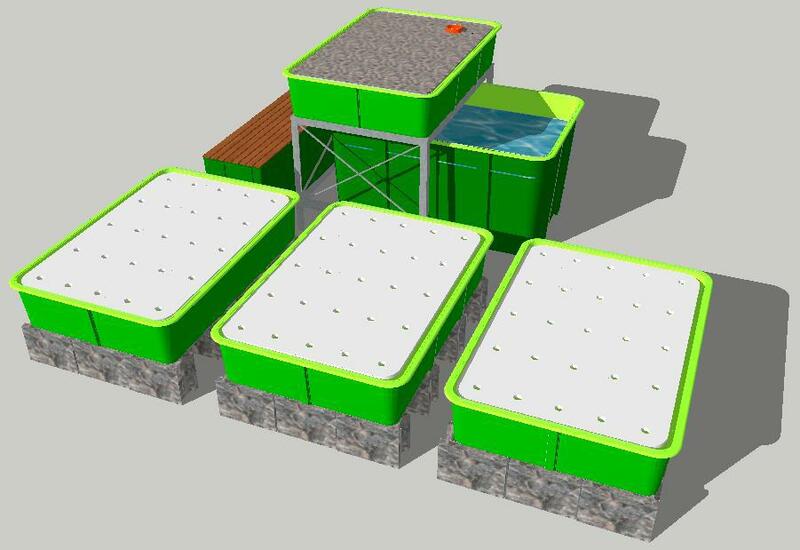 But the transformation of industrial wasteland into modern aquaponics systems is very expensive and maybe yet to expensive to compete with conventional agriculture products. 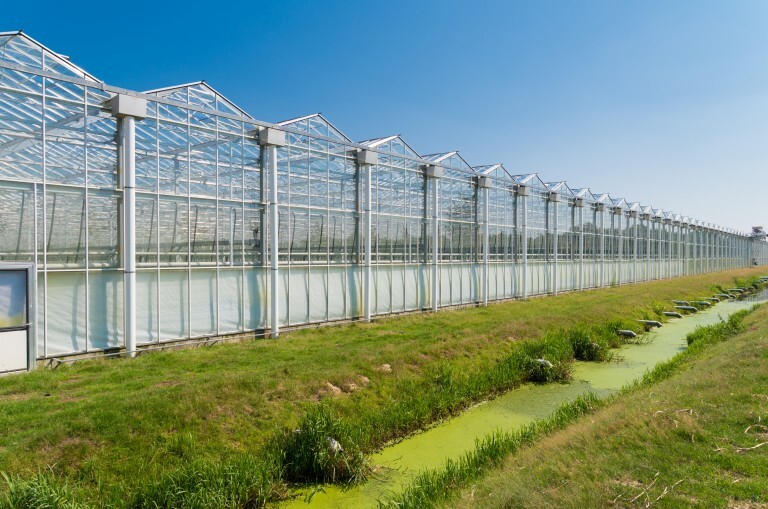 Aquaponics can also be realized less expensive in the suburban areas in standard greenhouses. The individual renovation of old factories needs even much more individual planning also with large competence-teams (architect, structural engineer, hydroponic specialist, etc.) while this is obsolete with standard greenhouses and fishtanks. To place our Large Scale Systems on the most stable foundation, we rely on intense scientific research. While aquaponics has to be investigated further more, we fund the education of Simon Goddek, a pHd-student and active scientific publisher in the Field of aquaponics, since 2014. There is also an increasing demand on the consumer market, where aquaponics rightly stands for high yields on limited spaces. In the last years the portion of people who learn about aquaponics and do aquaponics on their own is constantly rising in the last years. But many people who would like to own and run an aquaponics systems, are not able to build the system completely on their own, using parts from a construction store including tubes, glueing, siphone testing, etc. Here we want to close the gap and build simple but premium solutions. 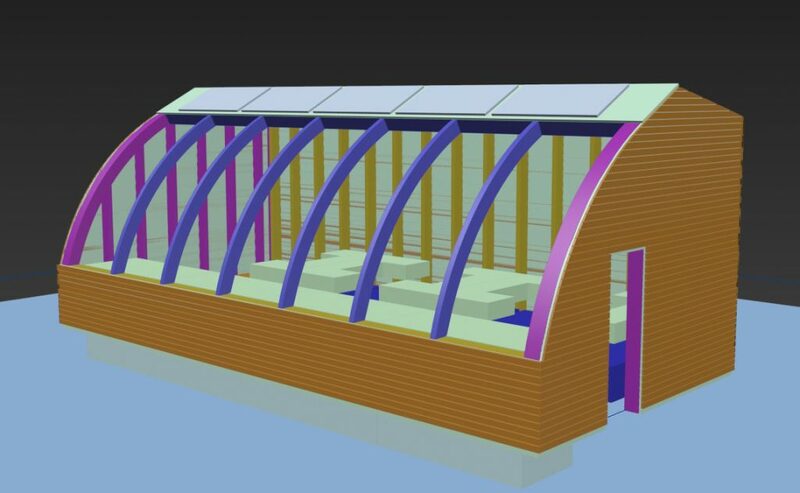 Indoor-Module for Home Aquaponics – Small Modules for rooms as an alternative to the classic aquarium.